A REPLICA of a Viking longship – claimed to be the biggest ever built – will sail to Wirral on its maiden voyage. After a series of test sailings, it will embark on its first real voyage in summer, 2013, following the path of the Vikings from Scandinavia via the British Isles to Istanbul. Project manager Marit Synnøve Vea said: “Our goal is to build a Viking ship that recaptures the superb sea qualities of an ocean-going Norwegian Viking ship. “To construct the ship, we are using Norwegian boat-building traditions supplemented with the results of archaeological investigations and information in Old Norse literature. 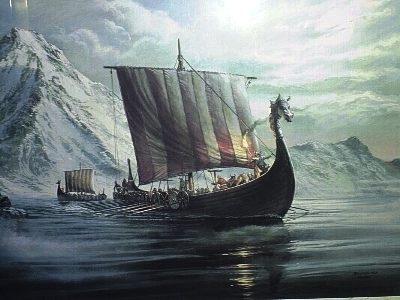 “The Dragon Harald Fairhair will be the largest Viking ship built in modern times, but in the Viking age that size would have been quite typical.